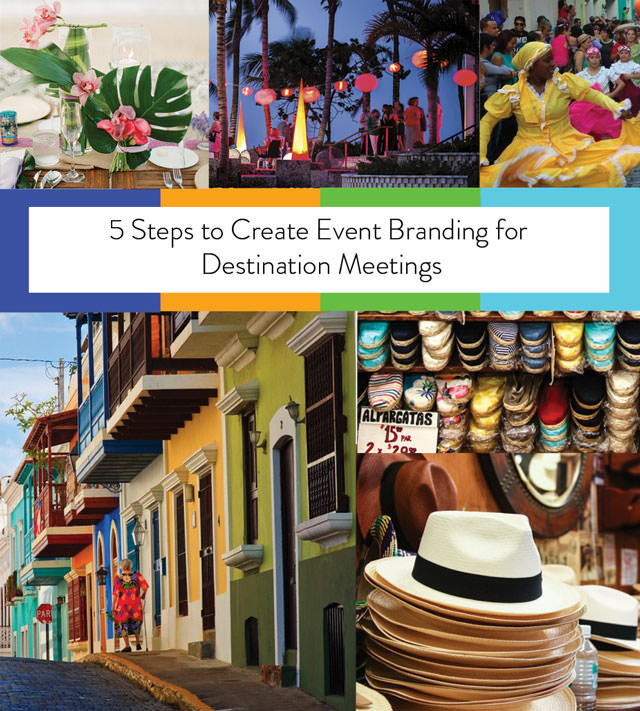 Ever wonder how we come up with the event branding for one of the destination meetings we’re working on? If you saw our post on Instagram yesterday, you already got a peek at what we’re working on. (Here’s a hint, follow us on Instagram to see tons of behind the scenes and inspiration we’re working on.) Today, we thought we would take you behind the scenes and share how we create the mood board. The mood board sets the tone for the event and we use it for event branding and signage, gifts, group activities, and dinners. This particular destination meeting is heading to Puerto Rico next March. Learn about the culture of the destination. 2. Decide on the feeling you want to convey. The colors you want to use are a huge part of the design. When we are looking for colors, we look the companies brand colors, the resort or hotel we are using and the style of the resort. Tip: For larger programs where you are using meeting space – don’t overlook the carpet and wall coverings. 4. Do you want the design to match or compliment? If you are going to a ultra modern property, it might look odd if your design is really old school or very ornate. If the property you are working with is very ornate with lots of chandeliers, creating design that is very minimal would compliment. Sometimes you need to think out of the box and play around with different concepts. It’s time to find the images that explain the feelings that you want your event branding to convey. We head to Pinterest, Google, the gallery of the hotel website and sometimes Travel Magazines.